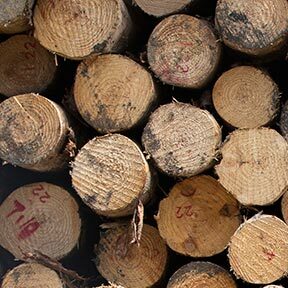 OJI Fibre (The manufacturers of our cardboard corrugated rolls) source wood from plantation-grown forests in New Zealand. Oji Fibre Solutions expects all suppliers to comply with environmental regulations and the company’s wood-sourcing policy. We provide further surety of the environmental integrity of our products by maximising independently certified fibre within our wood supply. Plantation forestry in New Zealand is controlled by national legislation. Collectively, these laws protect indigenous forests and require plantation foresters to manage biosecurity, health and safety, historical and cultural values and environmental risk. Our wood comes from forests located in the Central North Island region of New Zealand, supplemented from elsewhere in the North Island. Much of this wood consists of residues from other sectors in the forest industry including top logs (too small for timber production) and sawmill chips. The production of container board from recovered fibre is a core function of our business. Our Fullcircle service collects waste paper from a range of customers throughout New Zealand, including trim and cuttings from our own packaging operations. The majority of the recovered fibre is used in our paper mills to produce containerboard, which is then converted into packaging products. Very little fibre goes to waste throughout the conversion processes. Shardlows Packaging also uses Full Circle Recycling to collect all waste cardboard to be recycled back to the paper mills.